As hearing finally start today on the Northern Gateway pipeline from the oil sands to coastal British Columbia, politics on all sides of the dispute have been escalating. The Joint Review Panel process is well described here. This post surveys the political landscape leading into the hearings. This is Canada’s third great pipeline debate. The first was in 1956, when the debate over the TransCanada pipeline between Alberta and central Canada became an issue for Parliament and contributed the defeat of the St. Laurent government. The second was in the 1970s over the MacKenzie Gas Pipeline from the Beaufort Sea to the south. The Berger Inquiry on the issue was a landmark event in Canadian environmental policy and aboriginal rights. As we move into this third major debate, the political landscape is dominated by high-level accusations of foreign interests hijacking the process, continued massive economic stakes for the oil industry and vehement opposition by environmental groups, divisions between Western provinces, uncertain public opinion, and continued challenges of adamant opposition by a significant number of affected First Nations. The political economy of Canadian natural resource policy in a nutshell. “Unfortunately, there are environmental and other radical groups that would seek to block this opportunity to diversify our trade. Their goal is to stop any major project no matter what the cost to Canadian families in lost jobs and economic growth. No forestry. No mining. No oil. No gas. No more hydro-electric dams. This blatant attempt to discredit pipeline critics as un-Canadian radicals sent a shockwave through the environmental policy community. This high level government attack has highlighted two major political issues. First, the support received by Canadian environmentalists from US charitable foundations has become a significant issue for project proponents. The mainstream media has become somewhat more balanced over the past week on noting the extensive foreign involvement in the Canadian energy sector, but the rhetoric of the Harper government remains one-sided. Second, the time-consuming nature of the environmental assessment and regulatory review process has become an even bigger issue for the Harper government. Both Harper and Oliver are accusing project opponents of abusing the process and trying to stymie progress to create interminable delays in the project with the intent of killing it. The Canadian oil industry and others jumped on the bandwagon today. Streamlining the regulatory process has been an enduring concern for the Harper government and they appear to be using the “foreign plot to hijack” the Northern Gateway proceedings to strengthen the political case for statutory change. CBC’s The National reported that changes may actually be made to the Northern Gateway process itself. Harper and Minister Oliver have made their stance on the project very clear to Canadians over recent months, and Alberta premier Redford has expressed clear support for the project. On the other side of the Rocky Mountains, however, B.C premier Christy Clark has yet to declare a position. Clark has stated that she refuses to take a side on the issue until the National Energy Board has given a ruling on the project in 2013. However, it is being suggested she may be “forced off the fence” by pressure from both sides of the argument and at different levels of government. The mainstream media have given extensive coverage to the concerns of project opponents leading up to the hearings. The Vancouver Sun ran a thorough 8-part series on the risks and benefits of the pipeline that was picked up by other Postmedia outlets including the Edmonton Journal. One article including the star power environmentalists have mobilized to fight the project. Another pair of articles in this series weighs the risk of pipeline and tanker spills –among the strongest arguments for northern gateway opposition. Over the past week, a series of opinion polls have been released showing dramatically different levels of support and opposition. Enbridge released a poll that received a significant media attention suggesting more British Columbians supported the pipeline than opposed it. 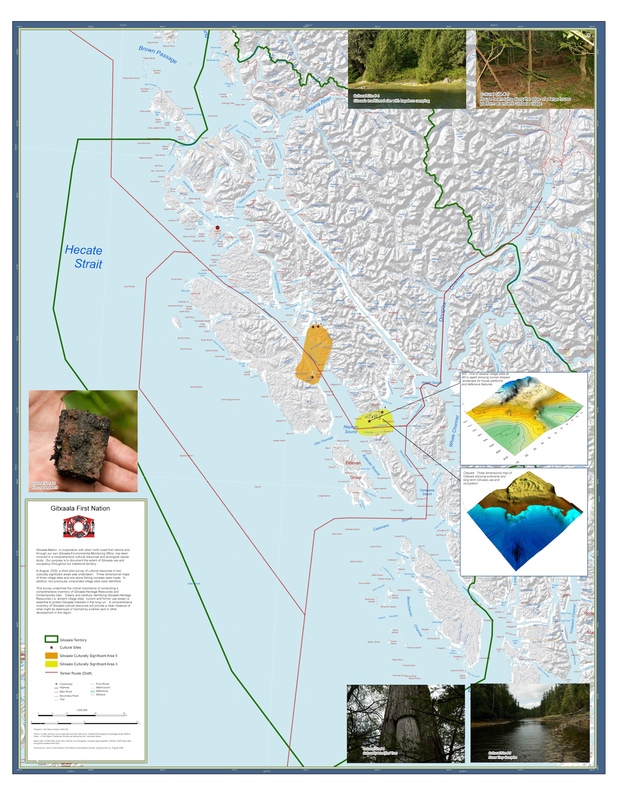 Prior to this time, the only publicly available polling was from environmental groups that showed up to 80% of British Columbians opposed oil tankers along the BC coast, so it was treated as a major correction to that impression. Closer scrutiny of the wording and results raised doubts about how significant the findings were, especially in light of another poll released that showed quite different results. The Enbridge poll was conducted by Ipsos Reid. The poll showed that 55% of respondent were not familiar with the pipeline, suggested there is a lot of room for advocates on both sides to move opinion. The question was posed as follows: “As you may know, Enbridge is the company leading the Northern Gateway Pipelines Project, which is a proposal to build an underground pipeline system between near Edmonton, Alberta and Kitimat, in northern BC. One pipeline will transport oil to Kitimat for export by tanker to China and other Asian markets. A second pipeline will be used to import condensate (a product used to thin oil products for pipeline transport) to Alberta.” While the question did have a reference to tankers, it did not mention the oil sands, nor did it mention the risks of a pipeline rupture or oil spill. (It also did not mention the economic benefits.) Given this question, 48% of respondents favoured the pipeline, 32% opposed it. At the same time, an older Mustel poll commissioned by ForestEthics in May 2010 asked a different question and got opposite results. This poll tended to prime environmental concerns in respondents: “Based on what you currently know, would you say you support or oppose Enbridge’s proposal to build an oil pipeline from the tar sands and bring oil tanker trafﬁc to B.C.’s North Coast? “ In almost the exact reverse of the Enbridge poll, this one found that 51% were opposed and 34% were in favour. The contrast in the polls is a classic example of how polling results can vary depending on the design of the question. One of the most challenging issues in the case is the adamant opposition of First Nations in the Fraser River watershed and along the BC Coast. Enbridge claims that two dozen First Nations support the project and have signed equity agreements with them, but other than the Gitxsan, they have not revealed the identity of these groups. In contrast, 130 First Nations have announced opposition. That includes the Coastal First Nations who have issued a ban under their laws of oil sands tanker traffic along the BC inland coast and approximately 70 that have signed the Save the Fraser Declaration banning new oil sands pipelines through their territories. Here’s a map that shows the extensive territory covered by BC First Nations who have formally opposed the pipeline (some in the Northwest Territories have as well). First Nations east of Prince George have apparently been more open to the pipeline. Many of them have far more extensive experience with oil and gas pipelines, and seem to have a different benefit-risk calculus with respect to Northern Gateway. Enbridge announced an equity agreement with the Gitxsan First Nation with great fanfare in early December. Since then, significant opposition to that announcement has emerged within the Gitxsan community, and it is uncertain whether the individuals signing that commitment had the authority to do so. At this time it is best to consider the Gitxsan decision as contested and uncertain. Pretty good summary. We’ll have to be very careful with our rhetoric if we plan on killing this pipeline. The new found antipathy to our objectives, as shown by the recent push back by Harper, means they have learned how to counterbalance our messaging. We can’t repeat the mistakes we made in fighting Global Warming. Way too much fear mongering about everything being bad wears thin after awhile and we must have a message of hope, not “something bad may happen”. The tanker route passes almost totally through the lands and waters of the Gitxaala Nation (see map: http://gitxaala.files.wordpress.com/2009/08/map-0011.jpg ). I suspect that the primary legal challenge to the tanker route will come from Gitxaala – of all the various intervenors Gitxaala has singlehandedly submitted written evidence the scale of which is more normal in a rights and title case. Which, ultimately, is what the gateway project will become. The tanker route passes through some of the most amazing marine waters of teh BC coast. I’ve been there many times – in fact, I grew up there. But it’s not just a nature wonderland, it’s the cultural and historical heart of the Gitxaala Nation. Over the course of many years I have conducted field reserach with Gitxaala and within Gitxaala territory. This is a difficult area for most people to get to. One needs a boat and the time to move. What we have documented is an amazing richness of cultural heritage. Ancient villages more than 4,000 years old; tidal stone traps and modifications of the foreshore that demonstrate millennia of use and management by Gitxaala people. This all could be lost by one simple human error or machine breakdown. And for what? feeding the bank accounts of the 1% and building the industry of China’s rising capitalist class. The rest of us stand to lose a priceless cultural and ecological treasure. We should really be stopping all the ship traffic in the area, it is all very dangerous. The average freighter shipping in and out of Kitimat carries about 20,000 Bbl of fuel, usually Bunker C which is just a shade thinner than bitumen coming in from Alberta. The cruise ship industry is also a huge potential liability . . . there are sometimes six ships, longer than oil tankers, holding 45,000BBl of hydrocarbon fuel, plying those waters. And they all do it with a tiny fraction of the safety and navigation equipment that would be used by Endbridge Oil tankers. We also have to think about the environmental risks of the proposed LNG pipelines, terminals and ships that for some bizarre reason the Aboriginal support. An LNG explosion would produce staggering quantities of CO2 and further poison our atmosphere. To say nothing of the fact an LNG explosion would kill thousands of people, the very people needed to clean up the environmental mess. So let’s be straight and just ban all shipping in Haida Gwai. This pristine area needs to be uber protected. Environmental justice demands it.